Earlier selecting a wedding card was not that much fun as it is now days. People need to visit 3-4 shop in the city and have to ask them to show the cards of your budget. Then there are cases when you like the card but it’s too expensive or it is out of stock. With all the tensions, you have to select the card, that you don’t like much but your worries are not ended here, most important thing is the proofing of the cards. After giving all the care, at the end you finds that there are mistakes in your wedding card. This is what makes you upset. But today I am taking you to a store where you can get your wedding card at your doorstep in just 3 steps. Not only this, this online card galleria is having a huge assortment of cards that you never feel to visit any other store for more collections. Let’s have a tour and see how these three steps will help us in getting our dream wedding card. Samples and cards selection: The first and foremost step is to visit indiancards.com where you can select your wedding cards. 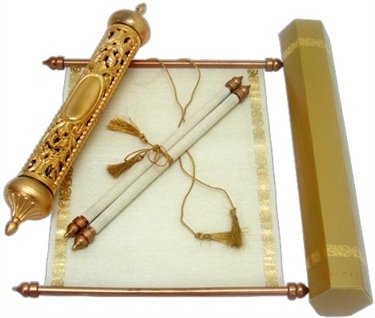 Here you will find huge assortments of the invitation on the basis of the religions, price range, color, etc. So, I would suggest you to first select your religion so that you will get appropriate cards for your wedding as per your religion and then you can refine your search by adding price range parameter to it and then at last if you have any specific color requirement you can also add that parameter. If you have confusion in taking decision for the one card, indiancards.com have given you an option of selecting 5 samples in 4$ + free shipping. So, that you can feel the card and take proper decision. The best part of ordering the sample is that you will get this amount adjusted in the later bulk order. Content and proofing: By the time you get the samples at your doorstep, you can share your content part with the card code, you want to opt. Ones you submit your wedding content with the team of the indiancards.com, you will start receiving the proofs for the same. These proofs are the copy of the wedding card with the content pasted on it so that it will give you clear picture of how your card is going to look like. You can ask the team to do changes required in the content, font, color of the ink, die casted symbols etc. and get done everything ready. This particular step is very crucial one as a single mistake will make a blunder to the wedding card. Ones, you are satisfied with you wedding card and its content you can give the green signal for the printing. My experience with, indiancards.com is amazing and trust me it is too easy to go.You can also visit how to order page for more reference. India is the country which is known for its vast culture and rituals. I don’t think there is any religion that you will not found in India. You just name the culture, you will find here. I am amazed to see that in India itself, there are more than 1600 languages spoken. So in the country with such a vast culture and rituals, you will find different nuptial in every single wedding. And if we talk about the wedding invitations or marriage cards, how can you distinguish it with the culture. Today, I have come up with the North Indian style wedding cards for your wedding. Red embossed invitations: Red and brown combination of this cards makes it one of the elegant cards fitting everyone style. The red color flap with the golden color damask pattern make is unique in itself. This is not it, the golden color design on the main card as the boundary of the flap is enhancing its beauty. Though the envelope is decent but goes best with the invitations. Dancing Radha Krishna invites: For north Indian wedding, this Radha Krishna card is perfect match for your wedding. They are known for their love for each other and wedding itself is the symbol of love and dignity. So according to me this wedding invitation will not only show the bond of your love but also make other realize the same. Rose and lord Ganesha: This wedding invite is glorious. The color combination and the unique printing style make me fond of this invite. The rustic look, with flowers and lord Ganesh makes it wholesome and gratifying. Even the inserts in a photo frame printing with same rustic look are divine. What all you need from a wedding card? Red Lotus: Laser cut lotus with the fabric touch, is the center of attraction of the wedding card. And the damask print of the same is making it distinguish. Along with this the golden border is completing the story of the card. This card is perfect for your royal themed wedding. Color palette: This is actually color palette, which is having various design in itself like block printing and each block is telling the different story. Some blocks have traditional pattern, some have the damask pattern and the center one is having the symbol of lord Ganesh. And in contrast of the main card, envelop is totally different. This one is perfect for your informal wedding style. These cards are perfect for your exclusive north Indian wedding style. Each card has its own story. What story is your invitation card is telling to your guests. Do share with us. Wedding is the occasion where you can do all sort of creative stuff as it is great opportunity to get artistic. Wedding guest book is the source of getting wishes from your gets, these wishes can be motivating, inspirational, or fun giving, etc. Guest book portfolio is something which will remain with you as a memento for your life time which you and your wife will enjoy reading in your free time. Today traditional guest portfolio is something which become obsolete. People want their guest portfolio should be indifferent and signing the portfolio becomes a part of entertainment for your guest. After your wedding, you will leave with keepsake which will help you remember all, who were there with you in your wedding. Let’s have some of my favorite portfolios as guest book. These are not just a portfolio but some of these, you can use for home decoration later on. Book with envelops: you can have a blank book and paste small size colorful envelops on each of it page. Along with this book you can keep notecards so that guest can give their personal wishes. Not only this you can expand this in the form of wall hanging also. Traveller guest book: This kind of portfolio goes with the couple who are travel loving. They can put some sort of ethnic globe where their guest can mark their favorite destinations, write their name, can mark their hometown, etc. Pebble/ shells Jar: Your guest would really enjoy writing their name and wishes on the pebble with the help of sharpies. And at the last you will get a jar full of pebble which you will enjoy reading after wedding. Even can use it for decoration purpose or center piece for table. Guest book Tree: This is among few common type of guest book. It is something which seems to be elegant and sober guest portfolios. Can ask your guest to write their blessing on the paper and hang it on the tree. It is more like a wish tree as in Dutch wedding custom. These papers can be in the shape of leaf or simple card stock. Silhouette is something what we called is obsolete. But if it is going with your wedding theme, you can call some silhouette artist at your reception and can create some effigy of your guest and on the same sheet can take their blessings. These sheets can be keepsake in an album. These are my beloved ones. You can share your all-time favorite guest portfolio to make this a one stop for all those searching for guest book ideas. Everyone these days is talking about theme wedding. All what is required for theme wedding is to break the traditional rules. Wedding is special and important day for both the bride and the groom and that’s the reason why people want it to be memorable and admirable one for all their guests. Theme in simple words is doing your wedding in a different way. Wedding card As we all know wedding cards is the first thing which reaches to our guest and it is the one by which they start imagine how the wedding is going to be. So while selecting your wedding cards you need to be very careful and should always keep in mind what your theme is all about. And at the same time affordability should also be keep in mind. Along with the wedding cards, you should also decide add on cards like Program cards, table cards, RSVP cards, Thank you cards, etc. in matching theme of your wedding cards. These small things are really very important to make a theme wedding a success. There are various websites which help you out in doing so. Costumes or the outfits Outfit is something which is really important for the bride and the groom. For this there are various options available in the market. And if you really want your dream wedding turn true, don’t restrict your theme to the bride and the groom but also for the family members. If possible mention your theme in the card itself so that it becomes easier for your guest to select their outfits as according to your theme. Location / decorations both location and decoration plays an important role. This is something which you need to discuss with your wedding planner in advance. Sometimes this has been seen that theme is good but the location is not appropriate as per the theme. So never let this happen. Decoration goes hand in hand with location. So it is really very important to go in minute details like table decoration, lobby decoration, food presentation, etc. For this you have to narrow down your wedding look and find genius décor idea with your wedding planner. The most important thing while planning your theme wedding is pocket full of idea. There are n number themes you can work on for your big day. You can also take help of the available websites and then discuss with your wedding planner with the availability of the things required for the theme. As shortly as Hindu wedding cards enter the homes of the invitees, there’s joyousness and everyone is once it and peeps to ascertain what the schedule is. Meanwhile, with the wedding announcement by the Hindu wedding cards, the females of the guest’s family begin thinking what to wear and what all the bride are going to be sporting at the occasion. The kid’s reception begins dreaming regarding the fun they’re going to have at the weddings of their close to and pricey one. This article is written to suggest some ever green ideas for the Indian wedding invitations. So read it carefully and then apply it on the paper. By mentioning these points you can increase the quality and elegance of wedding cards. Role Of Bride During Wedding Preparation: Meanwhile, the bride prepares and selects each bridal accent rigorously. The footwear a Bride wears is incredibly vital as they need a lot of to try and do in transfer out her temperament. One’s walk is incredibly vital and is a few things that can’t be hidden; footwear’s have a very important role in forming the walk. Definition Of Perfect Indian Wedding Cards: Weddings are one in all few aspects of contemporary life within which tradition still rules supreme. From the marriage band to the marriage night, previous traditions are typically followed whether or not the bride and groom consider, or maybe notice, their original meanings and intents. Real Indian wedding cards consist all the things that are necessary to each and every person. Enhance The Glory Of Invitation: After having set upon the roll form of invitation, the important issue is to envision the material quality which will be taken in use for creating marriage invitations. The colors of the cards may be chosen steady with one’s feeling. The thread which will be wont to hold up the cardboard ought to be unexpected and change the conjecture of the cardboard. Decorations may be recommended with bead and laces on the cards. This will improve the glory of card. Preference for a Best Wedding Favor: Most excellent marriage favors aren’t continuously modified ones, as couples may buy one in an exceptionally bridal look or on-line. You’d be disclosure however some are often extremely cheap. Place in mind though that wedding favors are a token of thanks for the guests who attended the marriage. Therefore, the couple should take into account their guests in selecting a wedding favor. During purchasing a wedding invitation card we have so many questions in our minds. Did you recognize why wedding cards already receiving the love of the people from all round the world? Why most couples who are near to hook up with would currently wish to receive a marriage card on their special day? Does one know why in precisely some years, wedding cards are currently thought of as a social norm? And at last, does one understand why it’s simply rude to travel to a marriage while not a marriage card? That’s why, in this article we are trying to give answer of such kind of questions that usually raises during selection of wedding invitation. Significance of Wedding Invitations: Although there are several varieties of cards however nothing is better than invite cards. As a matter of reality, they’re such distinguishing and adaptable printing things that may fulfill your textile desires in an exceedingly short time. All you have got to try and do is to require care of their style and print so you will be able to get the simplest quality products mode. On-line invite Card Company is providing low cost invite card printing services to its resonating customers worldwide in an exceedingly versatile manner. Heart touching gift ideas: The gift may be a gift to somebody we have a tendency to care concerning, some way of showing our heart for this could perpetually be thought in step with the tastes of others, quite our personal. to precise however necessary it’s for United States, it’s nice to additionally write some lines of hope: no ought to be poets or writers, simply write what you are feeling, mistreatment straightforward words however sincere. Matter inside the invitation card: The message within the wedding card is written with the couple in mind. Every of the story and words of knowledge during a wedding card are written particularly for the couple itself. This can be why it’s simply best if they’d ask for some recommendation within the wedding cards, instead of shopping for a help book for themselves. Reflection of a wedding invitation on your personal life: Generally it assumed that wedding invitation that you select will reflect your behavior and flavor. So it will be a key factor to pick a correct one from the large collection. Inventive and Innovative Photo Wedding Cards: There are various categories but new born or fashionable youth always like photo wedding invitation. These Photo wedding cards have many features and will provide a shine to your significant marriage ceremony. 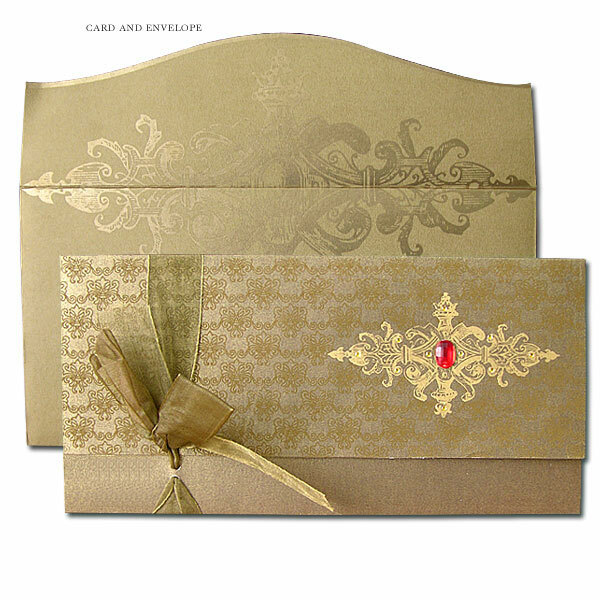 Thus, online invitation cards companies like indiancards.com, allweddingcards.com and hinducards.com gives so many special offers time to time on shipment and delivery to their customers. So that you can save some dollars and can invest this money in other useful task. So if you feel good quality product there then easily you can place order online according to your requirement.